Koh Tao is not only for diving and beach fun! We do have stunning beaches, beach parties and an amazing underwater world on the island voted no. 1 island in Asia by Tripadvisor 2 years in a row. But Koh Tao is also a cool place for business! Get your own spot in the shadows. Now - you don't have to... But at TAOHUB we urge people to help each other and get some business flowing - and we will do our bit to hook you guys up, if a business opportunity presents itself. 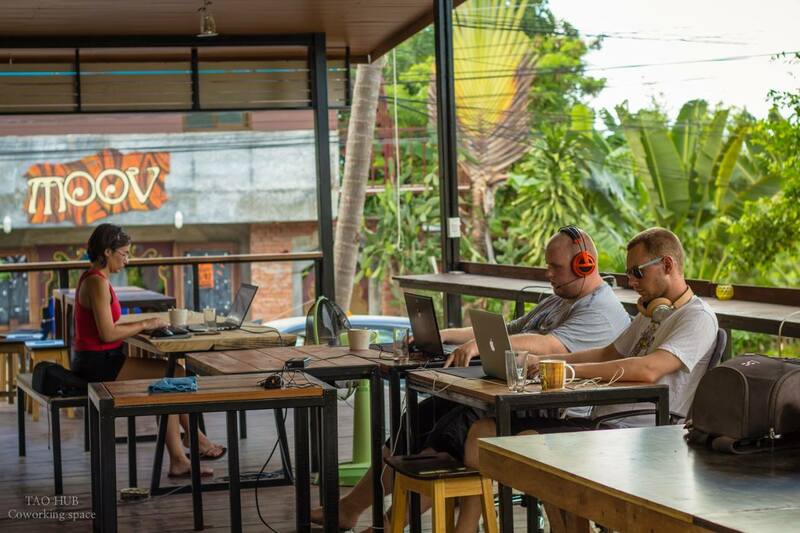 TAOHUB offers a nice open co-working space with the best wifi on the island - plus free coffee, free water and of course Moe's homemade hibiscus iced tea is also for free. Come and joins us if you need a place for working in paradise or just want to network with our other members. 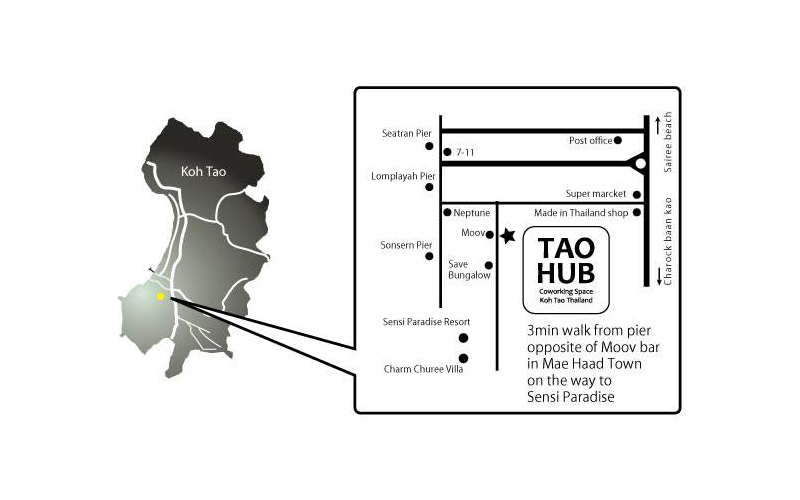 TAOHUB is located a short walk from the pier in Mae Haad - just opposite Moov Bar. Choose the Hub-plan that suits your needs! If you are only here for a short stop, you can get a spot in the hub for 400 THB per day. A full week of hubbin' in the shadows is 1500 THB. Including the weekend. Only 5000 THB for one month at TAOHUB with excellent company! Free wifi, free coffee, free water and free homemade hibiscus iced tea.